The European Union (EU) has agreed a €117 million grant to help fund the deployment of ERTMS Level 2 on the Paris-Lyon high-speed line. The funding agreement was signed in Ljubljana, Slovenia, today (April 26) by European Transport Commissioner Violeta Bulc; France’s Transport Minister, Elisabeth Borne, and SNCF Réseau chairman and CEO Patrick Jeantet. The EU has already provided grants to help fund initial studies and preparatory works. 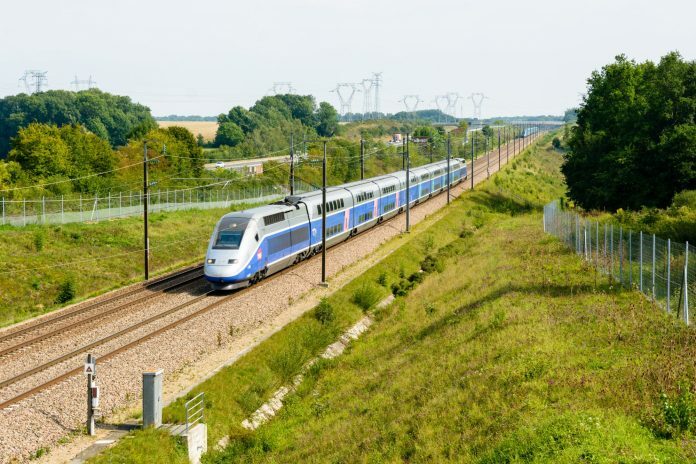 Announcing the new agreement, the EU and SNCF said the €116.9 million contribution will fund 40 per cent of the main works programme, which will include replacing or modifying interlockings, upgrading the power supply, and remodelling stations in Paris and Lyon. More than €600 million will be spent altogether upgrading the line, which opened in 1981. According to SNCF’s project delivery document, work is due to start next year and will be commissioned in 2025. A third of all of France’s domestic high-speed trains use the LGV Sud-Est, as well as international services to Spain, Italy and northern Europe. On an average day, around 240 trains will operate on the busiest section of the line, which carried 44 million passengers last year. The signalling upgrade will boost capacity on the line – increasing peak time capacity from 13 to 16 trains an hour – and is part of a Europe-wide initiative to standardise signalling across the continent. ERTMS should, ultimately, replace the various different signalling systems used by railways around Europe. In a statement, Elisabeth Borne said: “This funding agreement signed with the European Commission is a highly positive development that fully tallies with our mobility policy in two respects.